Watch this space for the latest fantastic new product to be added to the Soundzdirect range. Stick-N-find is a simple but brilliant way to keep track of those important items, be it the family pet, your passport, keys, wallet or phone. Simply put your sticker in place. You can download the app from the App Store to pair it to your Apple device. It also works on Android devices supporting Bluetooth Low Energy, running Android 4.1 and newer. The Radar Screen displays all of your devices within range. You can tap the Sticker on the radar screen and decide if you would like it to buzz, flash the lights, or do both. 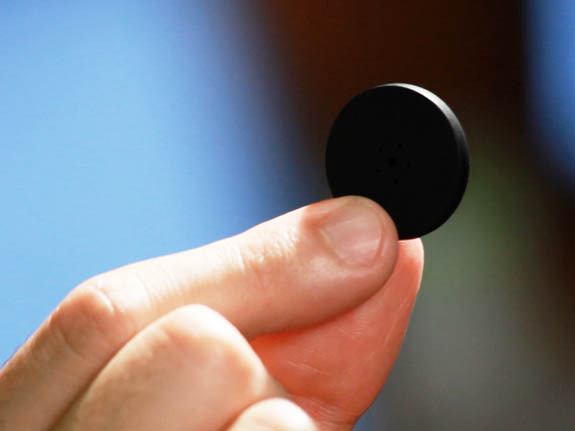 The radar screen can only be used to approximate the distance of the Stick-N-Find from your phone. Stick-N-find Stickers are only 0.16 Inches (4.1mm) thin, which is about the size of a US quarter, or smaller than a €2 coin. With a compatible size, Stick-N-Find Stickers can be easily stuck on to many items – kid’s toys, a pet’s collar, briefcases, keys, remotes and much more. 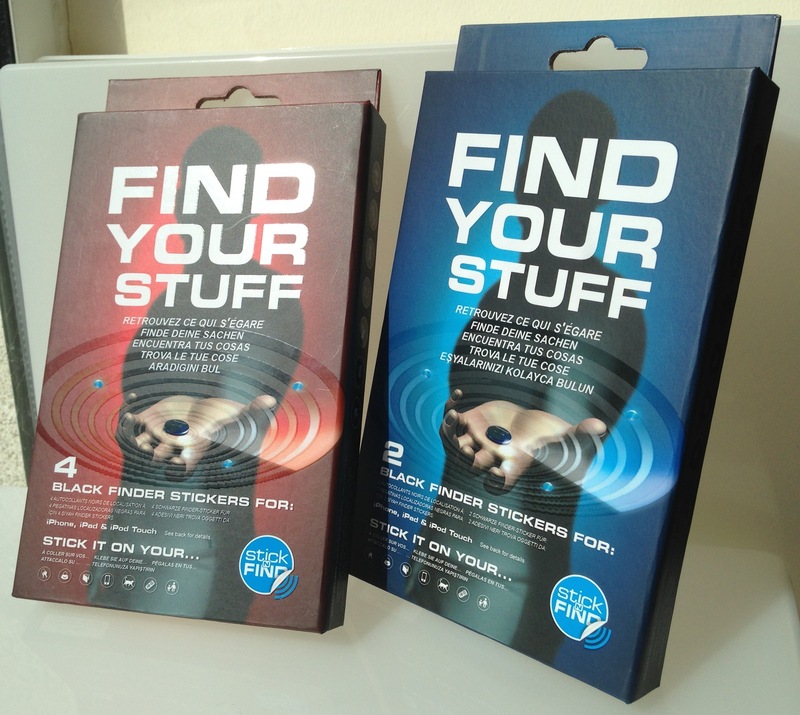 Stick-N-find stickers even feature a buzzer and light, so that you can easily find stuff in the dark. Clever, eh? The virtual feature allows you to create a virtual leash on a sticker so that if that sticker moves away more than the approximate selected distance from your phone, your phone will alarm you. You can even select a different type of alarm for each individual sticker. Perfect for wandering pets or children! With this clever little device, you won’t need to stand at the luggage carousel at the airport, anxiously waiting for the first glimpse of your bag. Attach a Stick-N-find sticker to your luggage, allowing you to sit down and relax! Once your suitcase is within range, your phone will alert you to its arrival. Stick-N-find Stickers have a Range of about 100 Feet, with a CR2016 watch battery that lasts for over a year, based on 30 mins per day usage. Klipsch X11i in Stock Now!